Horrid Henry’s Sleepover by Orion books is part of their early reader series which I think is perfect for young readers to bridge the gap between large style picture books and paperbacks. My 6yr old daughter loves Horrid Henry, is always giggling at his antics on television so a Horrid Henry book is ideal for her. She is a fairly competent reader for her age and is able to sit and read this herself although does require some assistance with certain words so it’s good to sit down with her and listen to her read aloud. 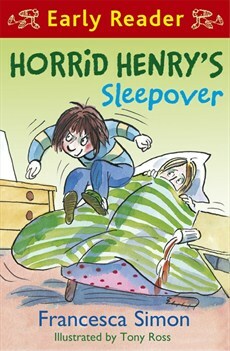 Miss M loved Horrid Henry’s Sleepover book as I predicted and it’s been beside her bed since we received it. She find’s it hilarious with some of his antics and the pictures really break up the text in the early reader books which keep her entertained and maintain her interest in reading. This entry was posted in Reviews and tagged books, early reader, Horrid Henry, kids, orion, sleepover by Fiona Martin. Bookmark the permalink. 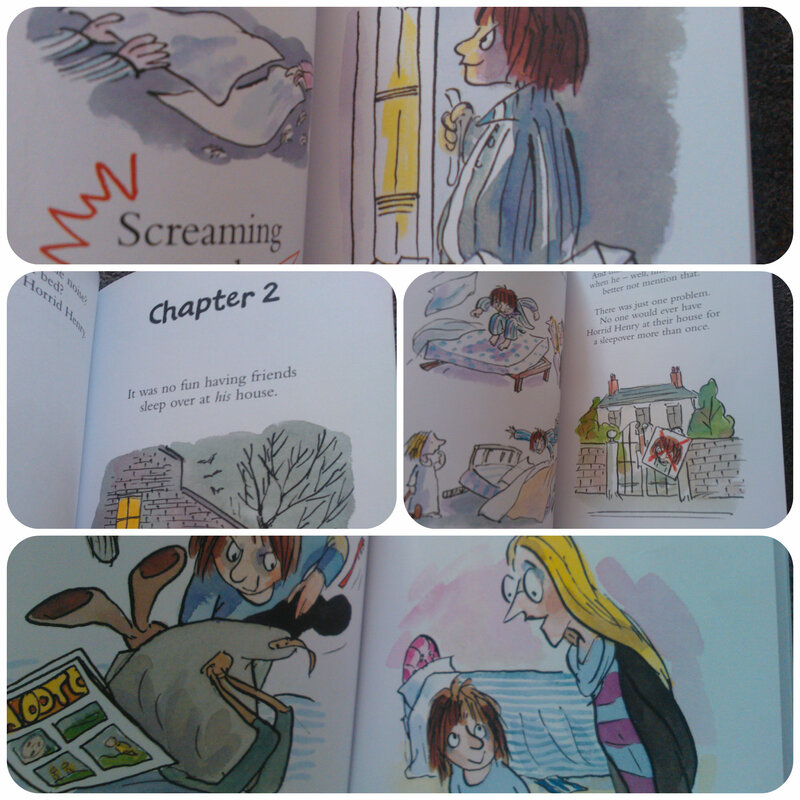 Horrid Henry always seems a great character to help children bridge the gap between picture books and chapter books. The illlustrations in this look fab. This looks like so much fun, I’ve packed it as a surprise to read to Monkey while we’re away! Z loves Horrid Henry! He’s so mischevious! The Early Reader books are very popular in our house.